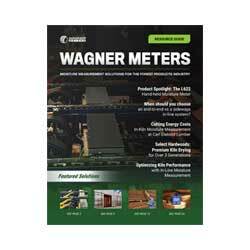 Rogue River, OR (March 2013) – Wagner Meters has long been known for providing quality information to professionals in the building and concrete industries. As part of their ongoing service to architects, engineers and designers, their newly-released concrete moisture measurement webinar carries with it AIA (American Institute of Architects) accreditation. Featuring industry professionals with deep experience in concrete moisture measurement, Wagner Meters’ webinar provides a comprehensive look at the benefits and failings of various methods of concrete moisture testing used both currently and historically to test concrete for moisture content. With an expert review of the science behind concrete processes and the most accurate ways to test concrete moisture content levels the webinar, offered through Hanleywood University, now also carries AIA accreditation for architects and engineers looking to build their industry knowledge while staying current with the latest developments in moisture content management. Wagner Meters’ complete line of innovative and industry-recognized relative humidity (RH) testing technology provides complete and accurate information for all professionals in the building industry. With a full understanding of the underlying issues of moisture movement and measurement in concrete slabs, and now AIA accreditation for the Wagner Meters Concrete Webinar, architects and designers can confidently specify the most accurate moisture testing methods for their project success. For resources and updates on the latest concrete news, you may also go to www.wagnermeters.com/concretemoisture.php.